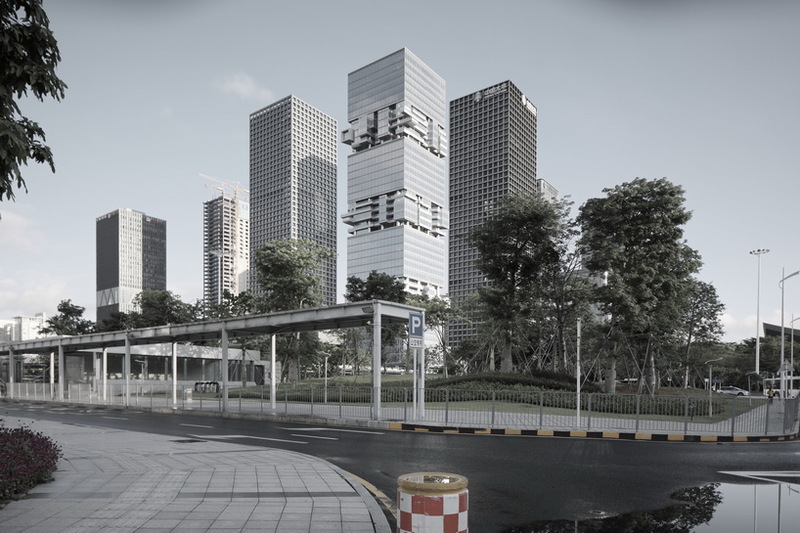 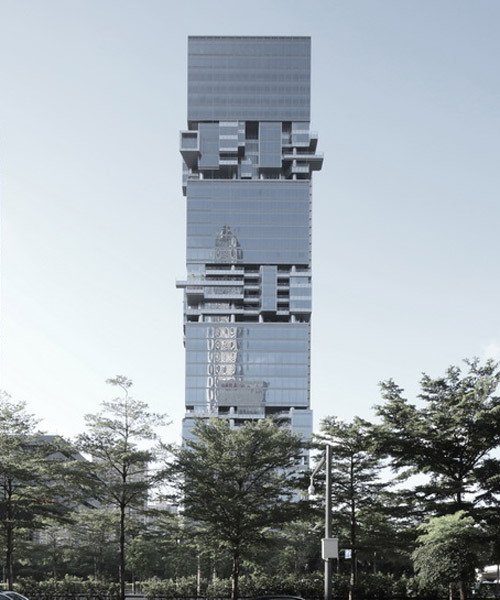 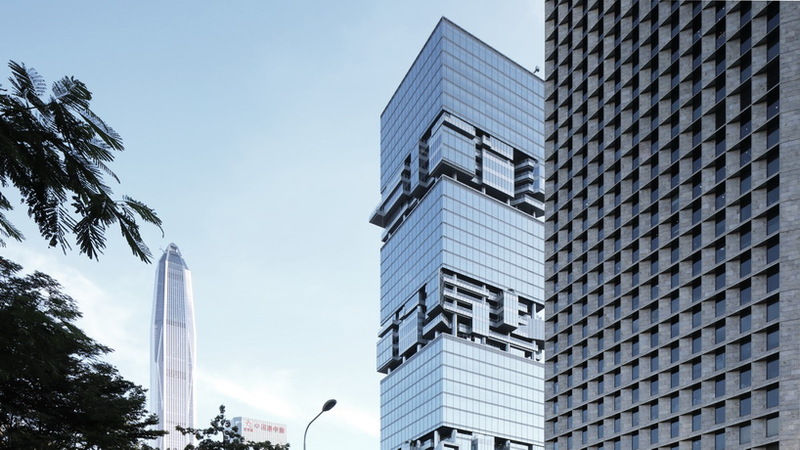 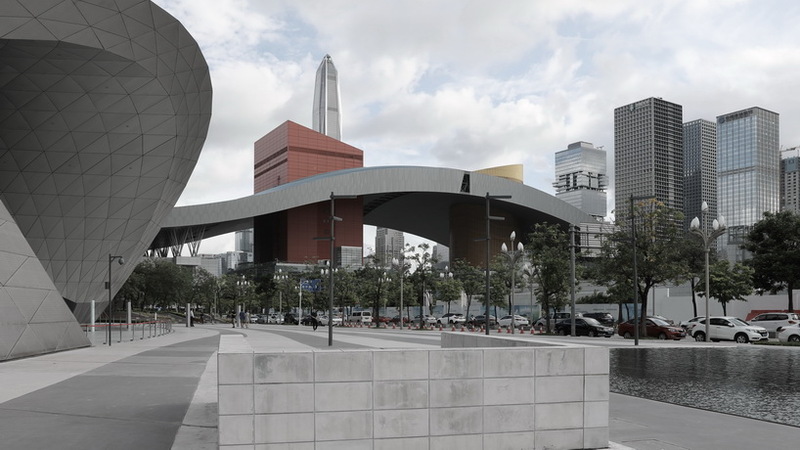 a series of new photographs of shenzhen’s ‘SBF tower’ is unveiled by O.H.A, showing pritzker prize winner hans hollein and christoph monschein’s design nearing completion in the futian district of shenzhen. 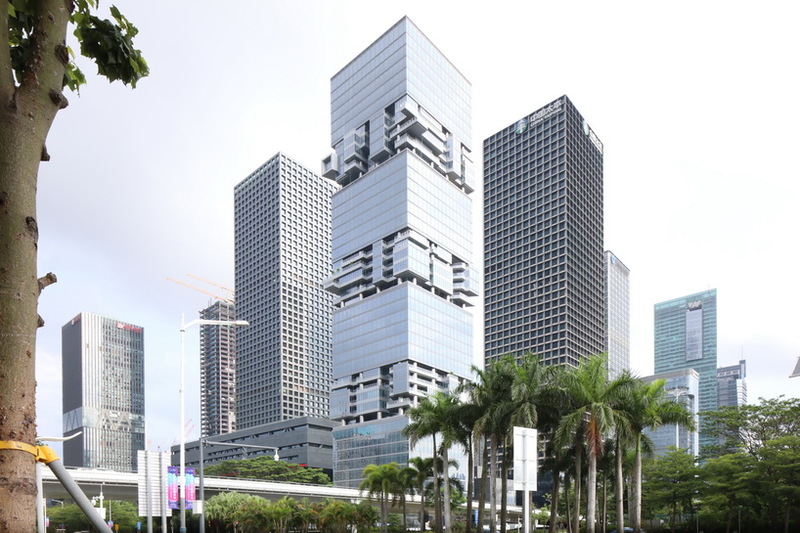 commissioned by the duo of southern and bosera funds back in 2010, the project was envisioned to contrast any high-rise in the vicinity. 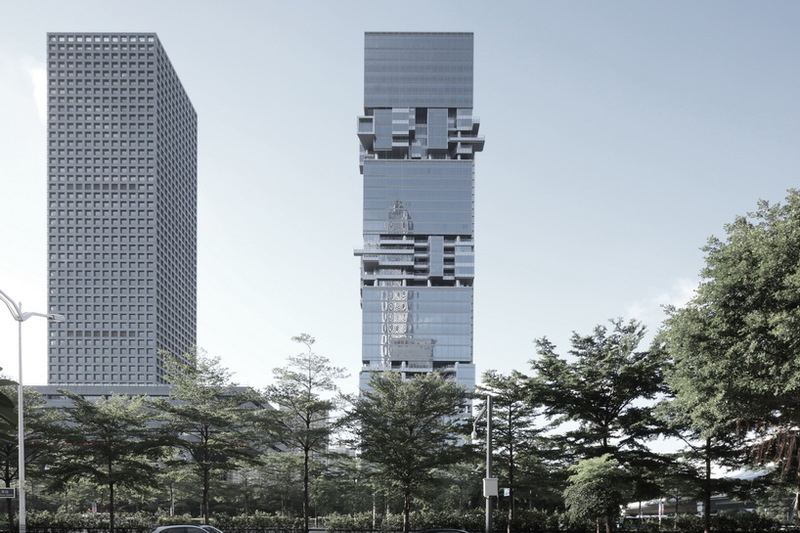 with its memorable design, based on an early sketch drawn by hans hollein in his time in chicago, how skyscrapers should look in the future, it becomes a dominant statement within the high-rises, in an exposed corner position of the cluster. 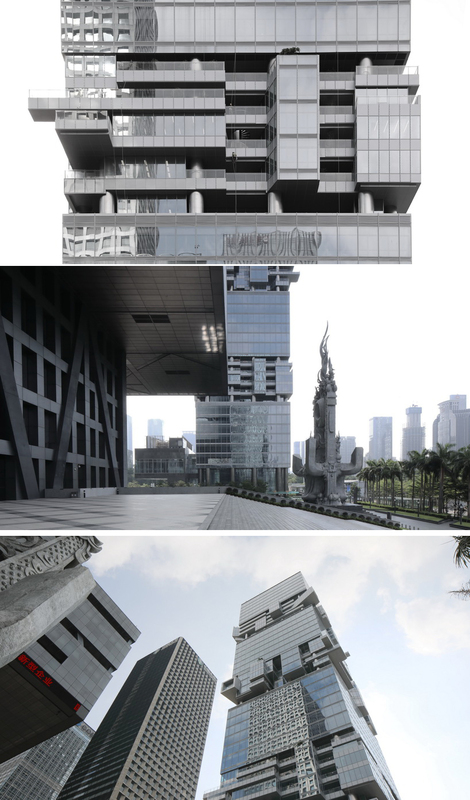 hollein’s tower is situated adjacent to the town hall and shennan avenue, a major road in the business district of futian. 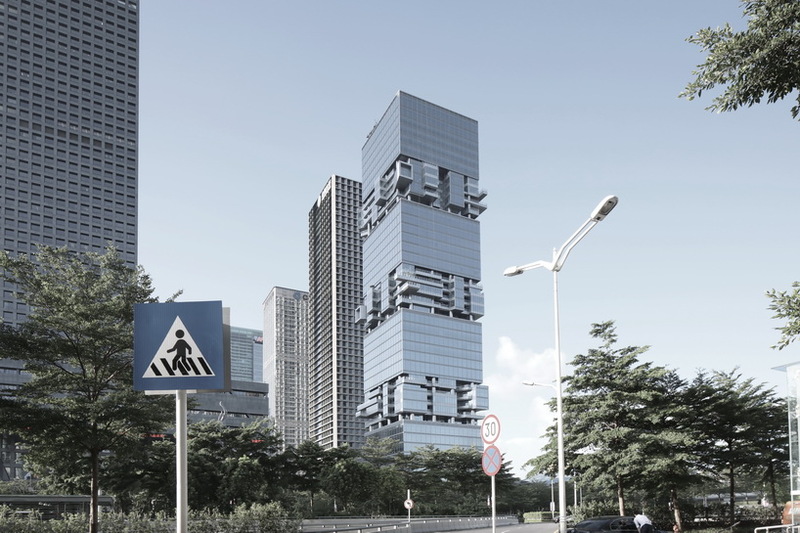 rising to an overall height of 200 meters, the building repeats a simple 45 m x 45 m square plan into two different zones — the ‘box levels’, which are six identical office floors stacked neatly on top of each other, and the ‘sky garden levels’, which are five floors of highly flexible workspace. 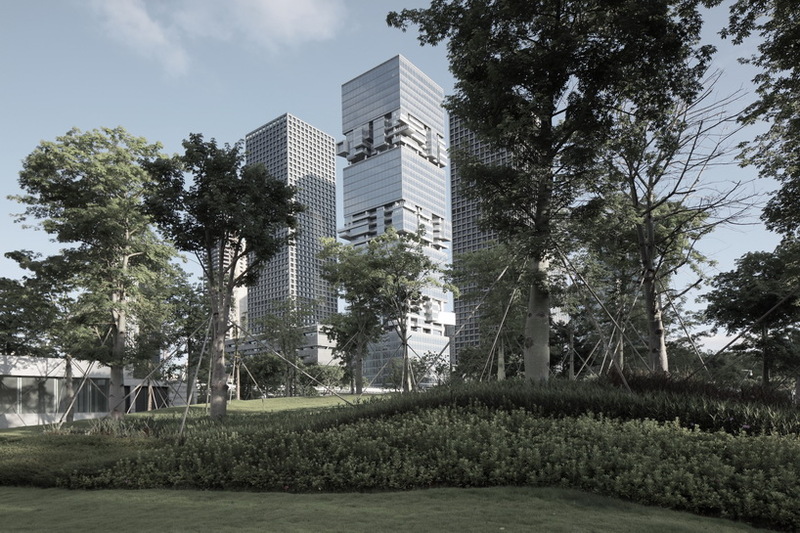 as seen in O.H.A’s images, from the exterior, this distinguishes two different alternating zones — the box levels follow an unbroken facade line while the sky garden levels have deep setbacks and outreaching cantilevers, overgrown with live greenery and outdoor terraces. 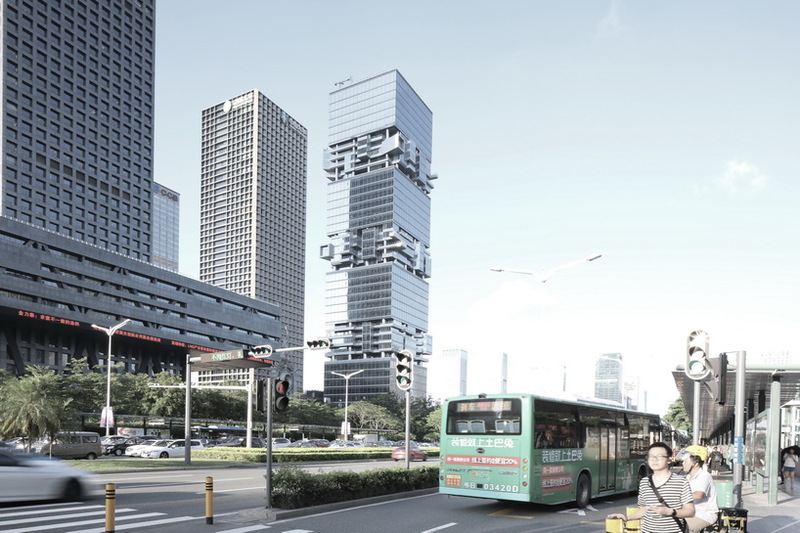 each individual floor is seemingly different; deep setbacks and far outreaching cantilevers interchange along the imaginary façade line and are overgrown with plants by integrating the concept of vertical gardens into the architecture, the tower promotes an alternative, more sustainable workstyle. 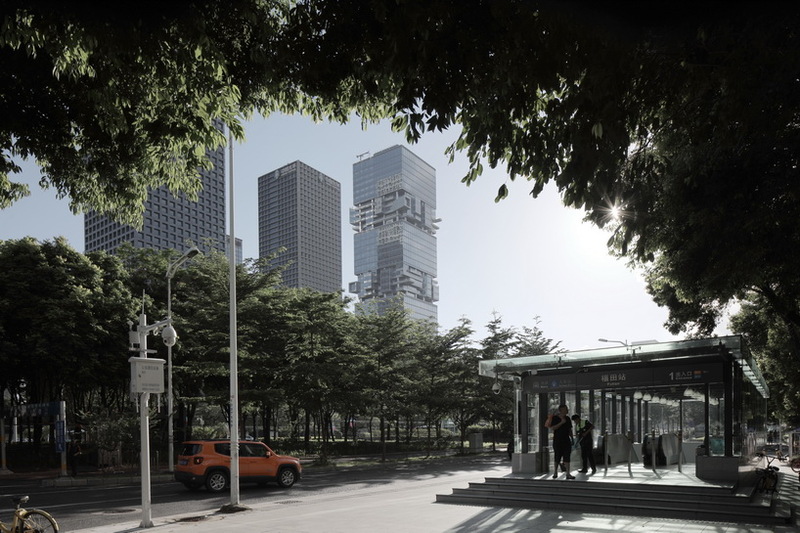 a skirt building partially frames the tower in the base zone, where the entrance area, the public business hall and a high-class restaurant are located.